Buffalo Wild Wings is throwing their hat into the Game of Thrones collab ring with ghost pepper-sauced wings. 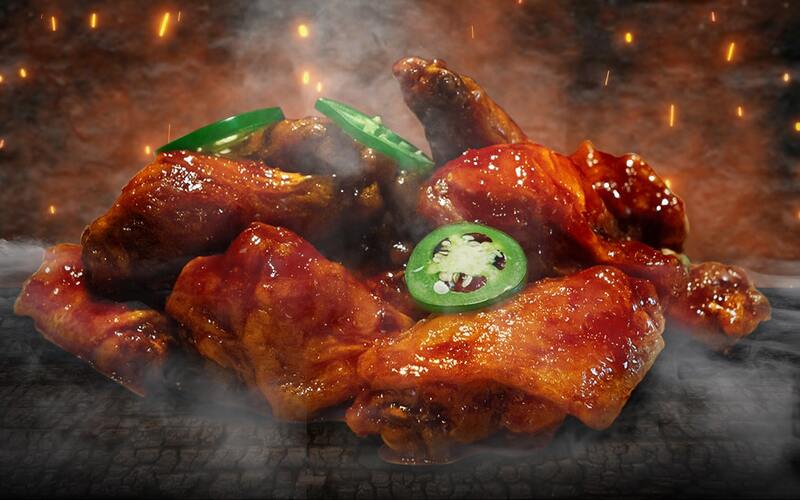 Buffalo's contribution is called "Dragon Fire" wings, and they are an exclusive, limited-time option that will only be available on Sunday, April 14. That's the same day the final season of Game of Thrones premieres. The Dragon Fire wings are coated in a soy-ginger glaze that's imbued with ghost chilies for an added boost of heat. That spice gets even more intense with a fresh jalapeno garnish. Buffalo Wild Wings will have these available in-store, via online order, or through Doordash, so you're not limited to just picking up these wings in a restaurant. It also makes them a thematic option to get delivered when the first episode drops.